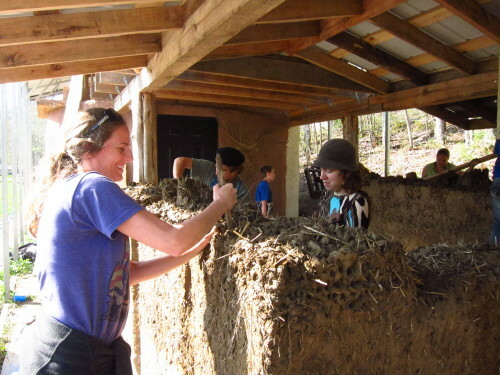 During this part of the workshop we will learn how to build cob walls, and ‘learn by doing.’ We will cover just about every aspect of building cob walls including, site selection and passive solar design, building your home on a solid foundation, sourcing materials for a good cob mix, setting windows and doors, and placing anchors in cob walls for the roof. During this part of the workshop we will learn how to sculpt and trim, as well as make a special kind of cob called corbel cob. 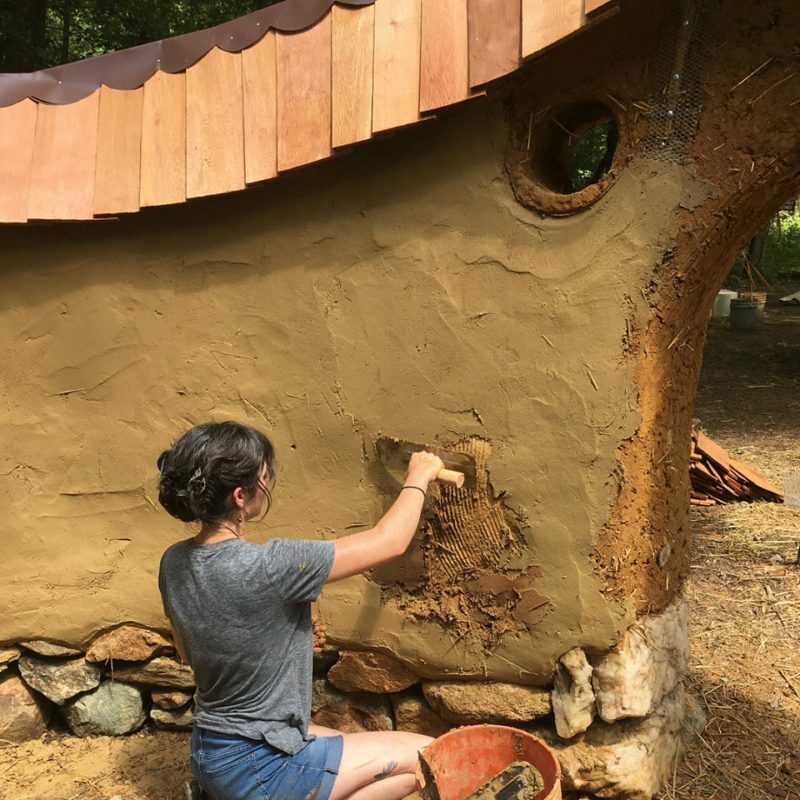 Corbel cob can be used to cantilever furniture and shelves, sculptures, window sills, and an endless variety of artistic embellishments that can be added to your cob home. We will consider the advantages and challenges of using lime, and will work with natural mineral pigments to create various colors & effects. 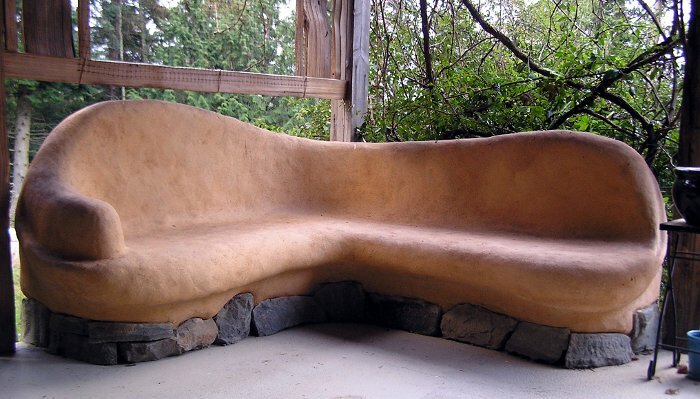 As a special treat, we will be pouring a natural earthen floor, sometimes called adobe, on the last day of the workshop. 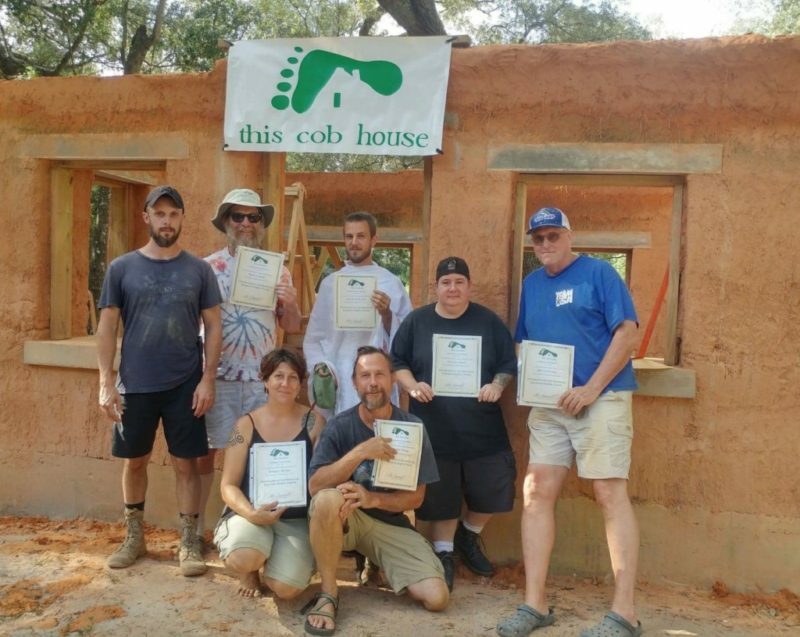 We will learn by doing as we prepare materials, choose appropriate insulation, prep the building, set up the frame, and see the final step to building with earth. We have a fabulous program for children 3 to 12 which includes a wide variety of age appropriate activities, including the kids working on their own cob project, and unrelated to cob, super fun stuff as well. It is truly a cob camp for kids that they will never forget! Registration for the kids program includes the costs of the facilitator, materials for crafts, etc., and of course meals, snacks and camping. – We will start each day with breakfast, & begin building at 8:00. We will break for lunch at 12:00, & work will end at 5:00. – We suggest out of town guests, as well as local folks, to arrive the night before to set up camp. – We will eat three meals a day together every day for each day of the workshop.